Henry Jefferson (Jeff) Smith, Jr.
Henry Jefferson (Jeff) Smith Jr.,61 yrs, passed away at his home in Oxford, Ohio, on October 27, 2018, surrounded by his family. Jeff was born September 14, 1957, in Starkville, MS, the son of Henry Jefferson (Hank) and Sara Bays Smith, who preceded him in death. When he was a young teen, his family moved to Raleigh, NC, after living four years in Birmingham, AL. As a teenager and young adult, Jeff worked as a disc jockey at various radio stations in the Raleigh area. He always enjoyed music, a love he passed to his children, and he was an avid sports fan. Jeff graduated from North Carolina State University (BS), The University of North Carolina at Chapel Hill (MBA), and Harvard Business School (DBA). He dedicated his career to higher education, and taught for almost 30 years in the business school of three universities: Georgetown, Wake Forest, and Miami of Ohio. Jeff always had an open door to students and friends who needed words of wisdom and encouragement. As a professor, Jeff had many opportunities to travel internationally, which he thoroughly enjoyed, and as often as possible his family travelled with him. 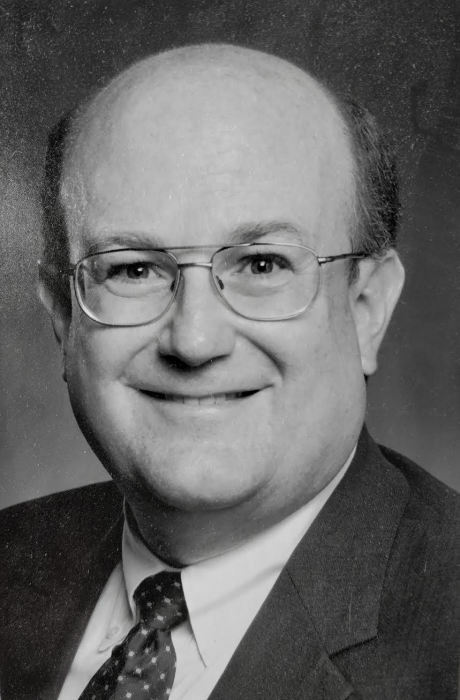 Jeff is survived by his loving wife of 37 years, Margaret Swann Smith, and their three adored children: Sara, of Odessa, TX; Susanna and David, of Oxford, OH. He is also survived by his sister, Sally Coppedge (Ray) of Cary, NC, and their two children Ray Coppedge of Raleigh, NC, and Bays Coppedge Seagroves (Jackson) of Chapel Hill, NC, and by his brother, Harden Ricci, (Lisa) and their two sons Ethan (Kristine) and Joshua, all of Holly Springs, NC. Memorial services will be held Thursday, November 1, at 2:00 p.m., at Mitchell Funeral Home, Raleigh Memorial Park, Raleigh, NC. Visitation will begin there at 12:30 p.m. A Second service will be held Saturday, November 3, at 4:00 p.m., at Holy Trinity Episcopal Church, Oxford, OH. A reception will follow at the church. In lieu of flowers contributions can be made to the following organizations: Leukemia & Lymphoma Society in a community of your choice, Big Brothers Big Sisters of Butler County, 1755 South Erie Blvd Suite D, Hamilton, Ohio 45011; Big Brothers Big Sisters of the Triangle, 808 Aviation Pkwy #900, Morrisville, NC 27560; and the Hopedale Unitarian Universalist Community music program, 3870 Oxford Millville Rd, Oxford, OH 45056. Online condolences can be made at www.paulyoungfuneralhome.com . Ogle & Paul R. Young Funeral Home (Oxford) assisting the family.